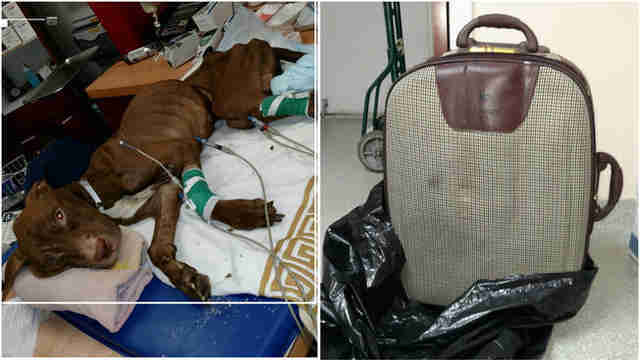 A New York City dog who was found abandoned and left to die inside a suitcase earlier this year is making a slow but steady recovery, while the hunt for the person who zipped him up and threw him away continues. By the time the 3-year pit bull, whom rescuers named Fraggle, was discovered in the luggage left near a housing complex in the Bronx, he was nearing death. 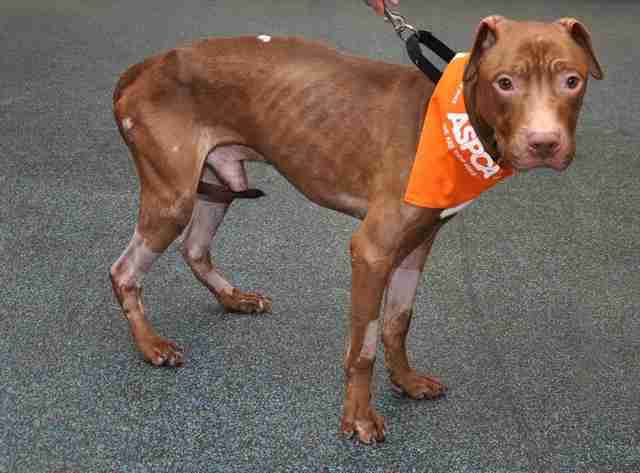 "This dog was deprived of food and water, then discarded on a city curb as if it were garbage," ASPCA President Matt Bershadker told NBC New York. "Such callous disregard for a living creature is unconscionable, and should not go unpunished." Despite Fraggle's critical condition, animal caregivers refused to see him as a lost cause. 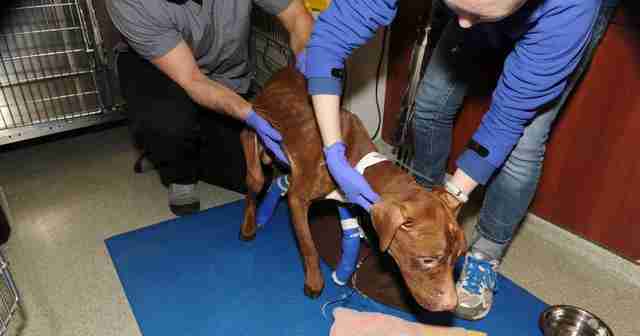 Immediately after he was rescued, the dog was rushed to the ASPCA Animal Hospital to receive medical treatment for malnourishment. It's been a long road since he was first rescued, but the abandoned dog is gradually getting back on his feet. "Progress has been slow, but Fraggle is showing signs of recovery," writes the ASPCA. "He has begun to eat on his own and can even walk short distances unaided." 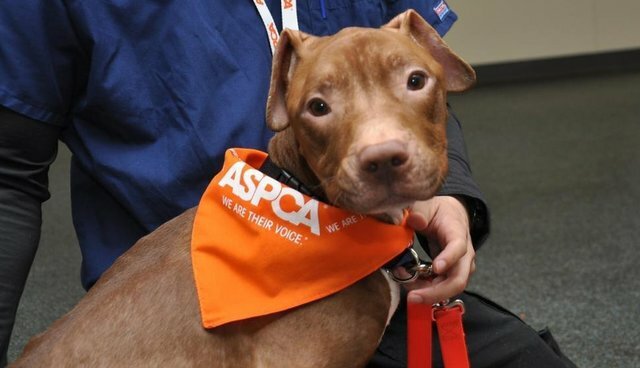 The ASPCA is still offering a $20,000 reward for information leading to an arrest and conviction in the case, in addition to the $2,000 being offered by NYPD Crime Stoppers. Anyone with information is asked to contact the NYPD Crime Stoppers by calling 1-800-577-TIPS or going online to submit a tip to Crime Stoppers' website.